12th November 2018. 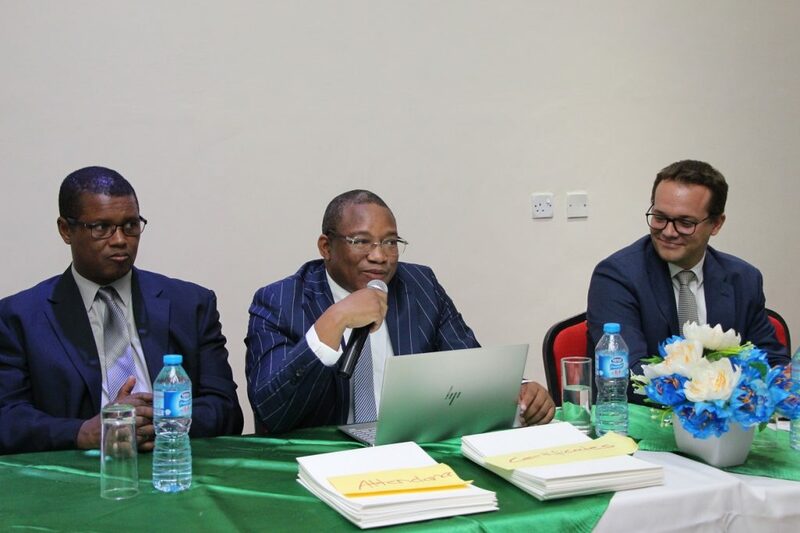 The Commission of the Economic Community of West African States (ECOWAS) has concluded a leadership training programme for its line managers. The programme which is part of the strategic plan for the development of staff who hold supervisory roles in the Commission, is to ensure among others, that leadership at all levels, are aligned with the strategic objective of the regional community while working relationship is improved along the lines of global best practices. Bringing the series of training to a close at a certificate award ceremony, the ECOWAS Commission’s Commissioner for Human Resources Dr Jeremias Dias Furtado noted that in these days of training and retraining, it has been realized that organizations that own or develop leaders are sure to achieve more success in their exertions. Highlighting business leadership skill as one of the most important in today’s market, he said: “To lead means to direct people to a goal by example. A leader to be followed does not need to impose but to espouse”. Stressing that leading is a mix of technique and art, Commissioner Furtado said the process of human communication demands of managers, the necessary charisma that aids effectiveness and the ability to motivate a group in the sense of accomplishing tasks. Making a distinction between being in charge of a team and being a leader, the commissioner held that apart from having a holistic vision of the organisation, it is essential for the leader to develop some success determinant skills and characteristics critical in influencing the led. He pointed out that the possession of the skills of adaptability and flexibility as well as the ability to remain communicative, are key in this regard. Also indispensable is the art of effective communication allowing the managers to sell the image of the organisation positively. Enthusing that the training session will achieve its desired results, Commissioner Furtado told the Commission’s line managers that “identifying individual competencies in their subordinates and working out the best ways to increase the potential of the team” is one of the functions of a leader. This, in addition to the necessary feedback, he maintained, is critical in order for employees to do “self-analysis” and gain the needed improvement to reach their highest levels of productivity and motivation. Head of Cooperation of the German Embassy in Abuja, Mr. Christopher Wenzel expressed his satisfaction with the training procedures and stressed that the support of the German government for the programme is all about “creating the capabilities so that people and governments can provide solutions to challenges”. According to him, despite the various challenges confronting the ECOWAS Commission, “it is still a very capable institution, as there are a lot of individual capacities” that abound. 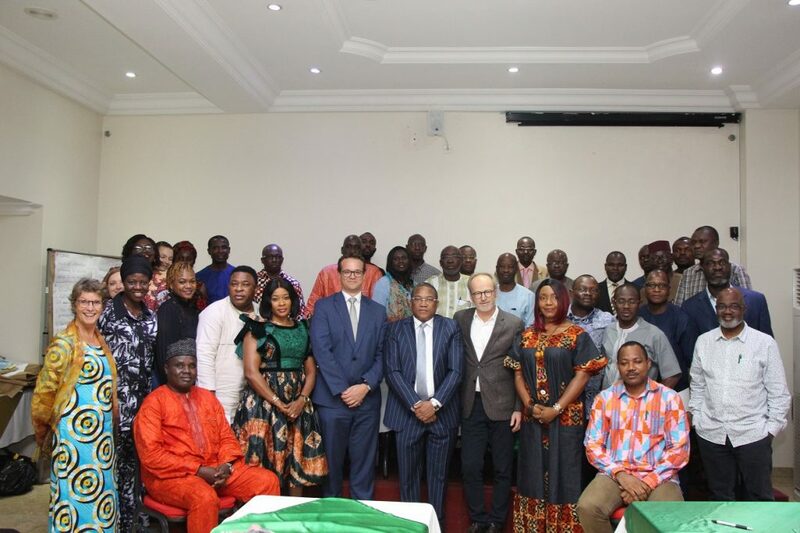 Being a programme aiming at providing line managers at ECOWAS with additional leadership and managerial skills, practical hands on education for better insight on decision making processes at the Directorate levels were given. The exercise also focused on individual competence building with the aim of linking personal growth process to the organisational change happening within ECOWAS. The November module on strategy implementation and project management, is the last of four in the core training programme. The other modules done with, between April and September 2018 are strategic leadership and change, self-management and collaboration as well as Human resources Management for high performance. Apart from coaching of supervisors, concepts such as meaningful contribution, appreciation, teamwork, motivation, support, responsibility, communication, integrity and commitment were expanded and put in proper perspectives.